From left: childhood cancer survivor Natalie Grace, singer/songwriter Taylor Tote and childhood cancer advocate (and awesome big sister) Hannah Rose, summer 2016. ​in the summer of 2015. The girls singing "Fighter" for the first time at Infinite Love's annual "Natalie Grace's Wish Event" in September 2015. 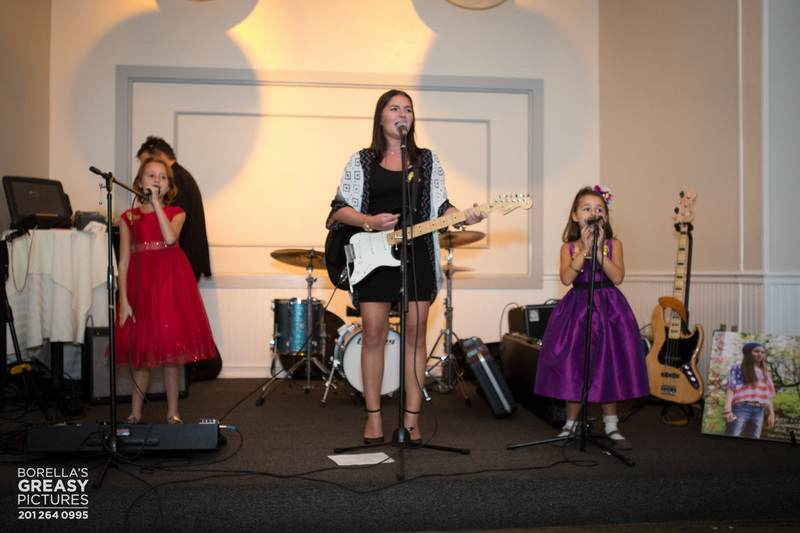 IN THE SUMMER of 2015, while looking for a band to perform at their next fundraiser, Andrea, Natalie + Hannah's mama, was introduced to the music of local singing sensation singer/songwriter Taylor Tote. Upon listening to the very first song on her website Andrea knew that Taylor and her band would be perfect for their event! After their initial meeting, Taylor, her mom Tara and Andrea all knew that their paths had crossed for a reason. The three talked for hours, interrupted occasionally by Natalie and Hannah whisking Taylor away to show her all of their most prized possessions. In those very moments, seeing how Taylor was interacting with her girls, Andrea knew that a very special bond was quickly being formed. 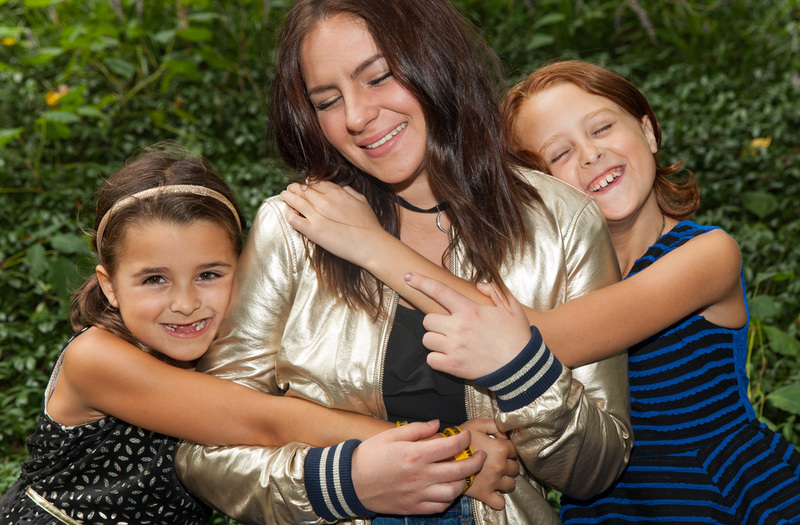 Prior to the event, Taylor began babysitting Hannah and Natalie and that’s when their true, sister-like love kicked in. One day when Andrea had come home, Hannah excitedly said, “Mommy, do you want to hear the song that me, Taylor and Natalie are writing?” Taylor jumped in to say that she was coming up with the melody of course, but many of the lyrics were from the girls. 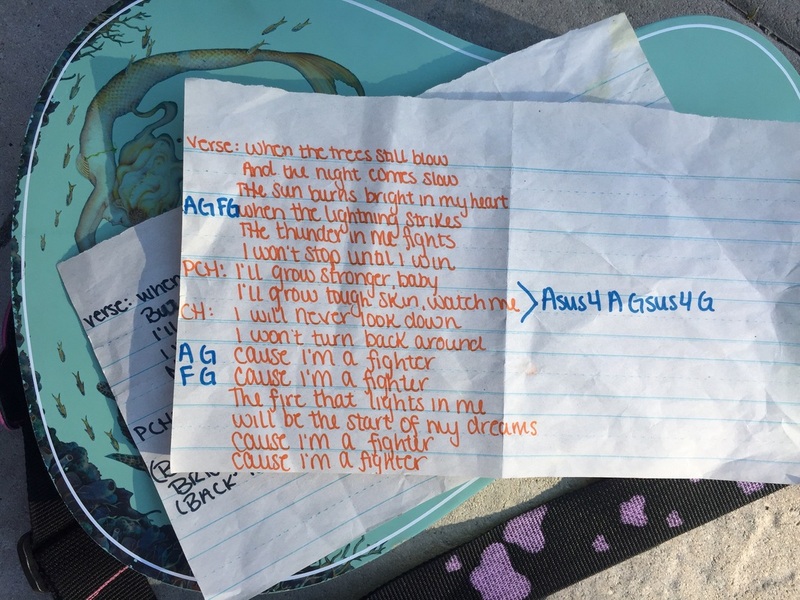 As all three girls began to sing Andrea was completely floored by how great the song was and so told them that if they practiced enough, they could sing “Fighter” at their upcoming fundraiser. A month later the girls performed their original song at the event, and not only did everyone LOVE the song, but they couldn’t believe that it wasn’t something that was already playing on the radio. Their reaction gave us the idea to have the song recorded with the hopes of selling THOUSANDS of copies with all funds raised to benefit childhood cancer research. About a month and a half later it was time to film the music video for “Fighter” in collaboration with Right Stuff Studios. The video stars childhood cancer survivors, fighters AND the Middletown, NJ Fire Department. We don’t want to give anything away, so with that click here to watch the video then be sure to download “Fighter” via iTunes immediately after! All in all the best part about this whole, beautiful project has been the collaboration between everyone from start to finish. From the three girls writing the song, to the adults producing both the song’s recording and the filming of the video. This is a single project created and nurtured through a lot of love, respect and determination to make a difference in the childhood cancer community. Help us to continue to make this difference by sharing both the song and video with your own friends, family and coworkers. THANK YOU!